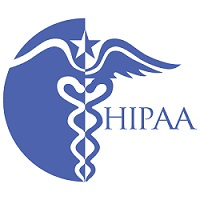 For enterprise clients who require security and confidentiality, Perfect Tense is completely compliant with the Health Insurance Portability and Accountability Act of 1996 (HIPAA). We have gone through multiple audits to confirm that we are fully compliant with the requirements of HIPAA and GDPR. As defined by HIPAA, Perfect Tense is a business associate. We are subject to this requirement because our software accesses Protected Health Information (PHI) provided by clients. We receive this information for the purposes of providing intelligent spelling and grammar correction. We have administrative, physical, and technical safeguards in place to properly protect the confidentiality and integrity of all PHI in our control. Perfect Tense has a zero data retention policy for all HIPAA clients. Text processed by Perfect Tense is accessed only for the purpose of creating the necessary output. Prior to processing, all text is completely anonymized. Once processing is complete, all information is immediately purged and permanently deleted from the system. As a result, no PHI is ever stored by Perfect Tense, and no employee ever has access to any PHI data being processed by Perfect Tense. All data is sent to Perfect Tense is encrypted using Transport Layer Security, the same security protocol used to process secure government and financial data. Our servers are housed in a tightly secured environment. There is a video-monitored high-security perimeter fence around the building and entry is only possible via access control terminals with a transponder key. All access routes, entrances, security doors, and servers are under 24/7 video surveillance. The protection of our clients’ information is our top priority. With these measures in place, we provide the highest level of security and confidentiality of any spelling and grammar correction tool on the market. If you have any questions about our security standards and safeguards, or need assistance with anything else, please contact us. In addition to HIPAA compliance, Perfect Tense has a specialized medical solution with industry-specific features and functionality. Learn more here.